How many Backup Block Producers do we need? 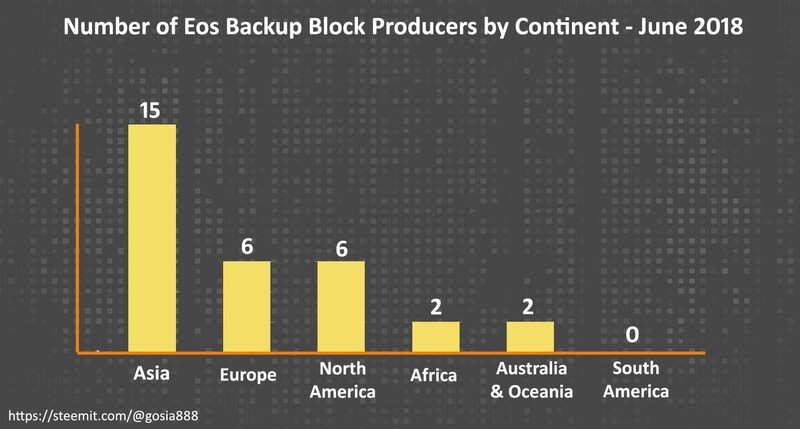 Eos Backup Block Producers have a very significant role in the Eos #ecosystem. They do not produce blocks however, they are incentivised for their role and should be ready to step up in the moments' notice. 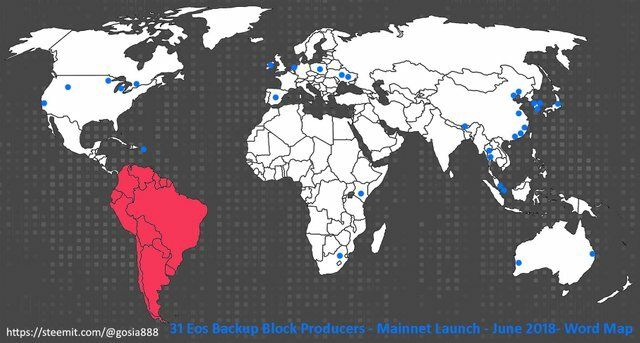 It is very important for the #Eos #Mainnet to run safely and smoothly to have as many Backup Block Producers as possible. There are many powerful teams, who are still below 0.5 % and won't get incentives for their valuable service. Running the servers is very expensive, and if we - #Eos #Community, want to keep them in the game, we need to take care of them by being generous with our votes. At the moment we have only 31 Backup Block Producers. Asia clearly dominates with 15 Backup Block Producers allocated there. North America and Europe are represented by 6 BBP. Africa, Australia and Oceania serve Eos Mainnet with 2BBP each. South America - no BBP. To make Eos truly #decentralised, #autonomous platform, the 21 Block Producers and Backup Block Producers should be distributed evenly around the World. This kind of approach will provide better protection from natural or political disasters to the Eos network. Is Eos Mainnet truly decentralised? What are your thoughts? Please, leave a comment below. Great wrap up! Thanks for putting the second tier summary together it turns out to be a pretty good spread. I completely agree with your argument. I hope with more voting (only 22% have voted so far) the "people" will out-weigh the whales that are controlling most of the BP's at this initial stage. I sincerely hope this does not happen.